Do you know which character owns these? Everyone probably has a different favorite from adidas' Dragon Ball collab depending on your appetite for stunting with your sneakers. Orange Gokus, purple Friezas, green Shenrons—there's something for almost everyone, except the low-key sneaker wearer who prefers non-bright af pairs. Thankfully, adidas has come up with another version of the "Shenron" EQT Support ADV Primeknit for your stealth needs. The "Super Shenron" is done up on the same shoe, but in a classy black and gold combo. 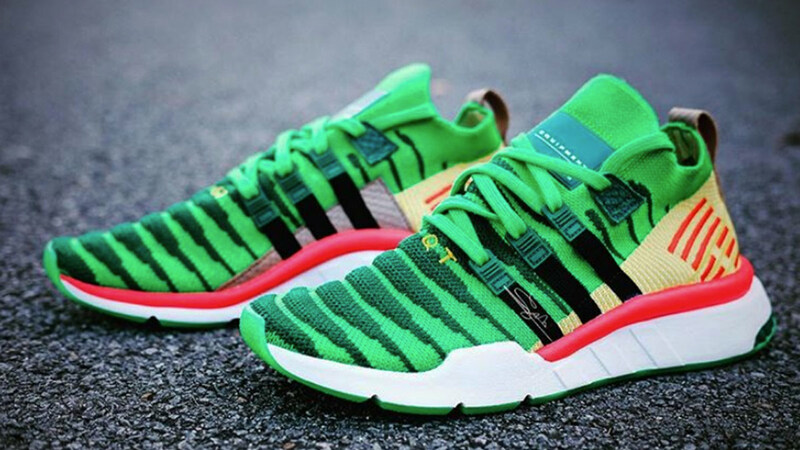 It's also the sneaker design that screams "Dragon Ball stan" the least because Shenron isn't the most well-known character and the shoe itself isn't too obvious a homage. Compared to the colors of the non-Super version where you know something is up, the duotone scheme here will be appreciated for how it looks first. Finally, check them out on feet and be convinced it's the pair you need and low-key the best out of the entire collection.